The Avenging Spider-Man: New Title Coming in Nov. '11!! 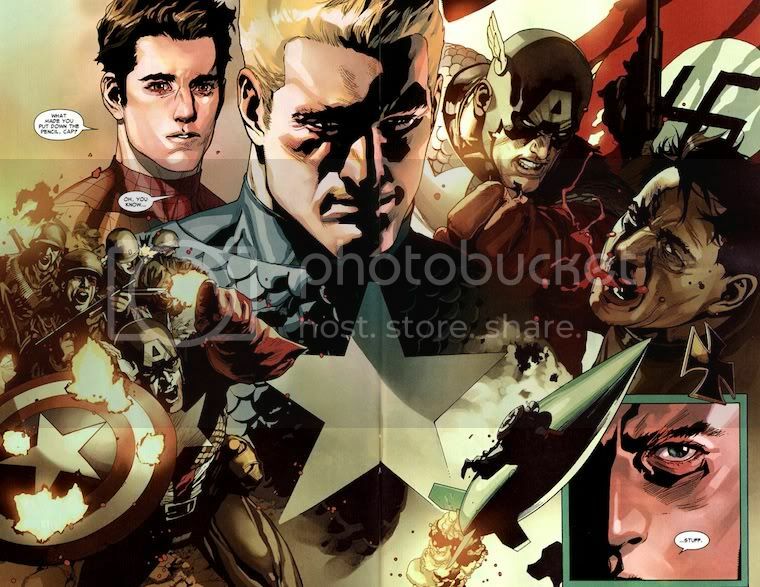 It seems that Marvel is trying to make sure all of his web-swingin' exploits are fleshed out for his fans/other readers! Well what better way to do it than to throw out a title involving JUST Spider-Man's Avengers related adventures? So this November, one of my favorite Spider-writers, Zeb Wells, gets to head The Avenging Spider-Man! The CBR Interview here is very interesting read and a great preview of what's to come! Wacker said that the impetus for the new series was a suggestion of "Marvel Team-Up," which didn't appeal to him, but "the idea of a book starring Spider-Man as a member of the Avengers" worked better from his perspective. Madureira said "I love drawing Moloids," to the amusements of the others on the call. Wells described a double page spread with hundreds of people—an extremely challenging crowd scene—which Madureira elaborated to add, "it's not just hundreds of people, it's the New York marathon running into an army of Moloids." I really like Joe Mad's artwork style for the book too! Okay, that aside it is a pretty fun art style for the kind of book it seems this will be. I would worry a bit, however, about overexposure. We all know how much Wolverine was shoehorned into everything and I'm sort of wary about possible backlash for this. However considering new movies sometime soon this is a pretty good move, getting new books started people wouldn't have too much back-reading to do if they were actually interested in doing so so I'd call it a good move. I'm really loving this preview-art by Joe Mad! Loved the art, loved the writing, loved the characters, this is a fantastic title. Joe Mad & Zeb Wells are a fantastic team. This title is gonna go places. Or at least, I hope it does. Two issues in and this title is GREAT!! Joe Mad is the MAN! His artwork is so badass! I'm very excited to get issue 3! Apparently each one (not sure for how long) comes with a free code for a free digital download. If you have the app for it, it's a great way to test out digital comics and see if you like 'em. I haven't been able to myself yet... but soon. 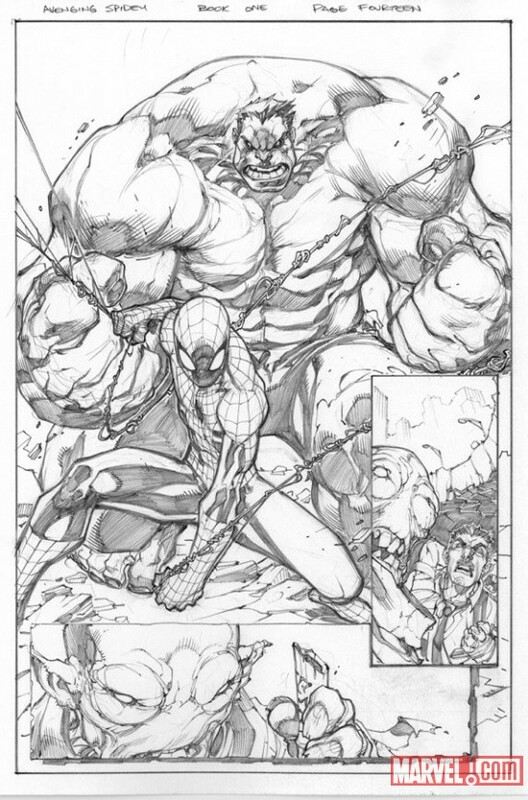 Re: The Avenging Spider-Man: New Title Coming in Nov. '11!! So I'm not sure if anyone else has caught this title, but it's been great. The last issue is a standalone, single issue story arc (which usually means boring filler; thankfully t'was not the case) about Hawkeye & Spider-Man on patrol. I am, due to my hubby's influence. I can't say it's left as big of an impact on me as it has you, but that might have have more to do with my personal preferences than the book itself. The first arc's art was lovely, though. (I feel teased. Teased, I say! Joe Mad for an arc here. Silvestri for an arc there. Will they do more? Nobody's telling, but it seems doubtful. Hmpf.) It might just be that I have a hard time getting into team-up books, especially when my favorite characters aren't involved. I'm wondering if this book will be one of those books with a new creative team for every other arc. The Immonens will be taking over writing and art with #7. Poor Zeb needs a break, I'm sure. Between his own personal comic, Carnage U.S.A., his Symbiote Wars coming up in May(ish), and his stuf for the AvX coming out in April, I think he's exhausted. I don't know how Bendis does it. But I do hope he sticks to the book after this arc or comes back at least. And I could be fine with a different team each time so long as the trades stay consistently sized. This has been the best work on Zeb's behalf, (though Carnage U.S.A. has been pretty cool). I am honestly thoroughly impressed with the writing. This Captain America episode has been absolutely one of my favorite reads of the month. One-shot stories about Spider-Man's adventures with the Avengers. <3 it. Best of all? The artwork is killer too. Each story (be it the actual one-shots or the 3-part type stuff like the Red Hulk/Mole Man story) features a different artist. Great book people, check it out.